I am putting the finishing touches on a new business plan for an independent drama I am currently packaging. 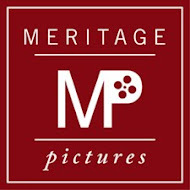 I have a business plan that I use for my films but I have had to overhaul it to address the new changes in the business. No longer can I focus on the traditional means of garnering a return on an indie film. The old model of taking your film to a festival, hiring domestic and foreign sales agents, selling your film through their efforts and overseeing a release by the distributors who buy the film is no longer realistic -- even for the most successful festival pieces. I am putting much more emphasis on the creative team and the validity of the project as well as the grassroots efforts we will make in building an audience. Sponsorships from organizations and companies are going to be very important to explore. Instead of relying on distributors to release your film. We need to rely on ourselves to create the best overall plan for the release and find the means ourselves to get the film in front of an audience. The onus is on the filmmakers' shoulders now more than ever. And if any of you are like me, you're propensity is for the creative, but we need to focus just as much on the sales/publicity/marketing/distribution side as we do story. And that is exactly what I am doing. I consider sales and distribution to be just as challenging and take just as much time and energy as finding the financing for my film. It sounds incredibly overwhelming and it is. The more the responsibility of knowing how to be an expert in every facet of making and selling a film, the greater the stress and time commitment a producer experiences. The producer credit needs greater protection now more than ever! Shockingly, I still experience others trying to take a producer credit when it's not deserved -- going so far as telling others they are a producer on the film, even when their deals state another title. That needs to stop. Producers need to build support systems as they navigate the new world of indie distribution. I see a huge need for indie film distribution consultants -- people whose sole purpose is to guide producers through a successful self-release of a film. It's just too hard and inefficient to be all things to all people. We producers need support as the weight of their films' needs continue to increase. Let's take it all one day at at time and we will get there. Are you going to raise finance, as part of your budget, to pay for some distribution? Nicely stated. I'm going to pass this on to our entertainment lawyer, since he might be a good distrib consultant. Yes, I'm going to have preserve some money for distribution but it can't be the kind of figures that are ideal. Instead it's going to have be a lot of grassroots promotion with funds preserved for absolute essentials that cannot be avoided. He has been making the rounds being interviewed on various online platforms such as Rex Sikes Movie Beat, Film Courage and Film Snobbery and he will be speaking at the Filmmaker Summit this weekend at Slamdance. This Summit will be available for streaming through LiveStream on the internet. I hope you will tune in, very important people in the indie field will be addressing the most pressing issues for independents. The Summit will air from 11am-2pm MT. Hope this info is useful to you. Thanks for sharing this, Jane. I recently started a book publishing company, and I'm finding the same things...old models don't work...my first love is the creative process, but I spend as much if not more time on marketing and PR. That's just the way it is. Good luck with your biz plan! If you guys have any problems with dvd development service, contact us and we'll figure out something. For us, our first feature did not initially pick up a deal. So we had to take a plan B and start marketing and selling online. Now some time has passed - and I've learned a lot about the process. We have garnered some favorable results. And now, with a revenue history - suddenly calls from traditional distributors are starting to circle back. It is both odd and understandable. A movie with a track record, no matter what scale is still a track record. This creates an environment for a less risky deal. The thing is, when you create a stream of income, you wonder if a traditional distribution deal can improve the bottom line, or dilute or deteriorate your efforts. Much of what we learned from this will be with me for all subsequent projects. There are several things we all need to do (in terms of marketing) in the prep phase. This again is what I call the plan B approach to selling your movie. But as technology makes an even greater shift into new sales channels, the plan B might just become part of the business plan.